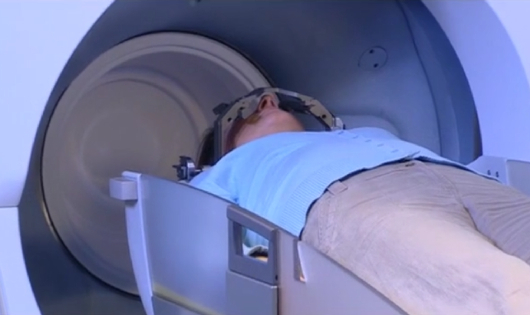 The Medical University of South Carolina’s Neurosciences Gamma Knife Center service at the Hollings Cancer Center in Charleston passed a milestone on March 25th with the treatment of its 1,000th patient. MUSC’s Gamma Knife program involves a collaboration of neuroscience and radiation oncology disciplines that enables patients to benefit from the expertise of physicians representing multiple medical specialties. 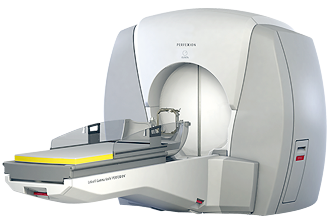 Patient 1,000 was to be treated with latest generation Gamma Knife technology that was upgraded at the center last fall. MUSC’a Leksell Gamma Knife unit is one of only two systems in South Carolina and the only one affiliated with a dedicated cancer center. Gamma Knife surgery, AKA stereotactic radiosurgery (SRS), is a non-invasive method for treating brain disorders such as tumors, and other abnormalities in the head and neck. Radiosurgery is the delivery of a single, large dose of radiation to a specific target in the brain with surgical precision. The radiation will react on a molecular level with the cancer cells and stop their reproduction, which kills the cancer. “Stereotactic” refers to precise positioning in three-dimensional space, which, in the context of Gamma Knife surgery means a 3-D reference frame is attached to the ‘s head during the procedure. The stereotactic frame provides a 3-D reference that can be monitored on the imaging equipment to provide exact coordinates for the target. It totally immobilizes the patient’s head to ensure pinpoint accuracy when targeting and delivering radiation — similar to mounting a camera on a tripod rather than trying to hold it steady with just your hands. 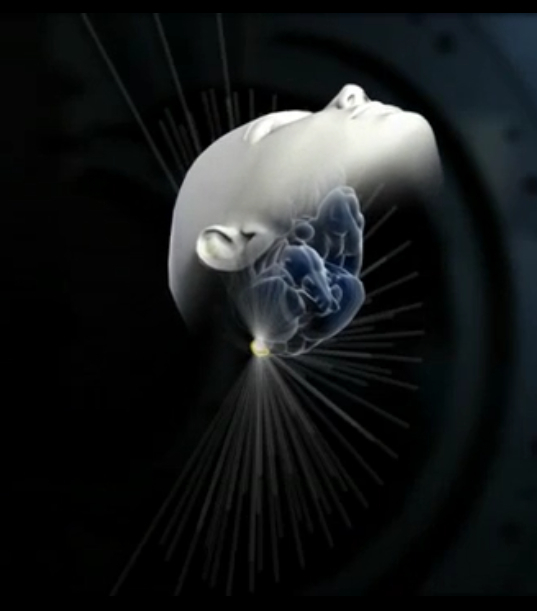 Gamma Knife delivers a single, high dose of irradiation to a small and critically located intra-cranial volume through the intact skull, and is regarded as the gold standard for treating of brain tumors and other disorders — preferred for its superb accuracy, efficiency and outstanding therapeutic response. 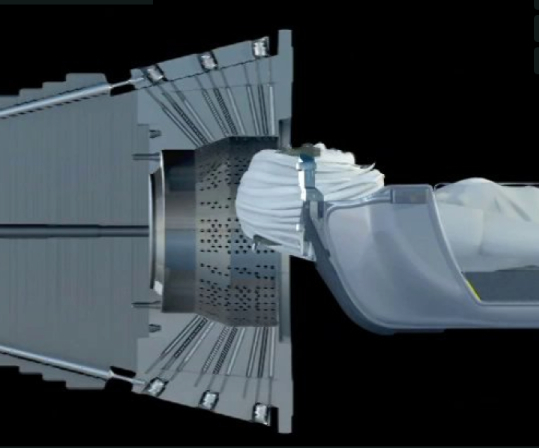 Gamma Knife radiosurgery is typically a one-time procedure that can be completed in a single day, compared with multiple visits for linear accelerator (linac) treatments, which use lower radiation doses delivered in fractions (fractionated treatment). Gamma Knife is a Swedish invention, first installed in 1968 at the private hospital Sophiahemmet in Stockholm, Sweden. The first machine used in the U.S. was installed in Pittsburgh in 1987. According to its manufacturer, Elekta AB of Stockholm, Gamma Knife surgery is now performed in hundreds of hospitals and clinics around the world, with 700,000+ patients having been treated. In the past five years, the number of patients treated per year has increased by 300 percent, with an estimated 70,000 patients now undergoing the procedure every year, and an impressive scientific track record documented in more than 2,500 peer-reviewed articles. Elekta claims that no other non-invasive treatment method in the field has achieved greater clinical acceptance. Gamma Knife Treatment requires no surgical incisions, does not involve blood loss, and causes virtually no pain. Despite its name, there is no blade or knife involved. It’s called “Gamma Knife” because radiosurgery has such a dramatic and precise effect in the target zone that the changes are considered “surgical.” However, Gamma Knife surgery is an alternative or can be complementary to open surgery. 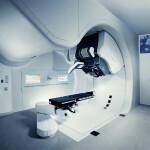 The procedure is normally performed by a neurosurgeon accompanied by a radiation oncologist and medical physicist. Besides treating brain tumors, Gamma Knife is also employed in treating non-malignant disorders such as cranial vascular malformations, trigeminal neuralgia, movement disorders, and some ear, nose and throat conditions. Gamma Knife’s ability to deliver highly precise doses of radiation to pinpoint targets in the head and neck ensures that doctors are able to focus radiation directly without affecting surrounding healthy tissue. 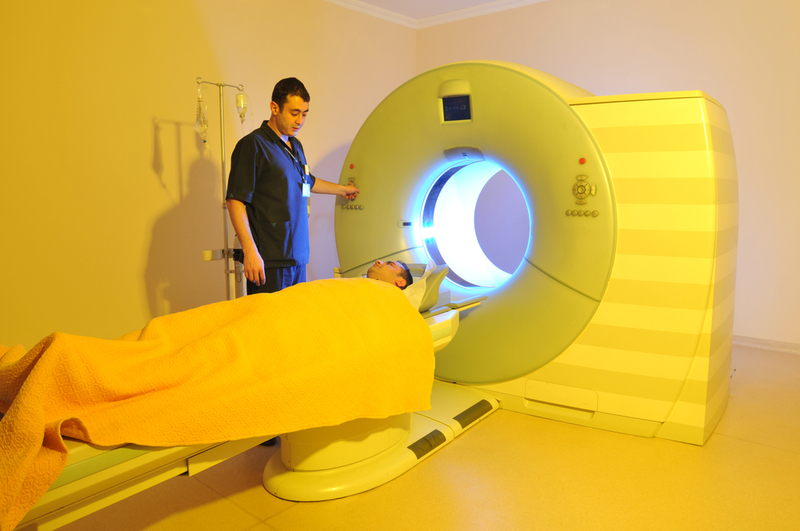 Through the use of three-dimensional, computer-aided planning and the high degree of immobilization of the patient, the treatment can minimize the amount of radiation to surrounding healthy brain tissue. 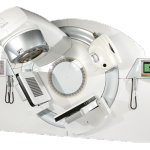 With approximately 200 sources of cobalt-60 loaded within the treatment unit, thousands of radiation beams can be generated from these sources with a level of accuracy of more than 0.5mm, about the thickness of a strand of hair. Individually, each radiation beam is too weak to damage the normal tissues it crosses on the way to the target. But when focused precisely on that target, the beams intersect and the combined radiation is sufficient to treat the targeted area. Since no incision is made, risk of surgical complications is low. The patient’s head does not have to be shaved, and side effects are few. 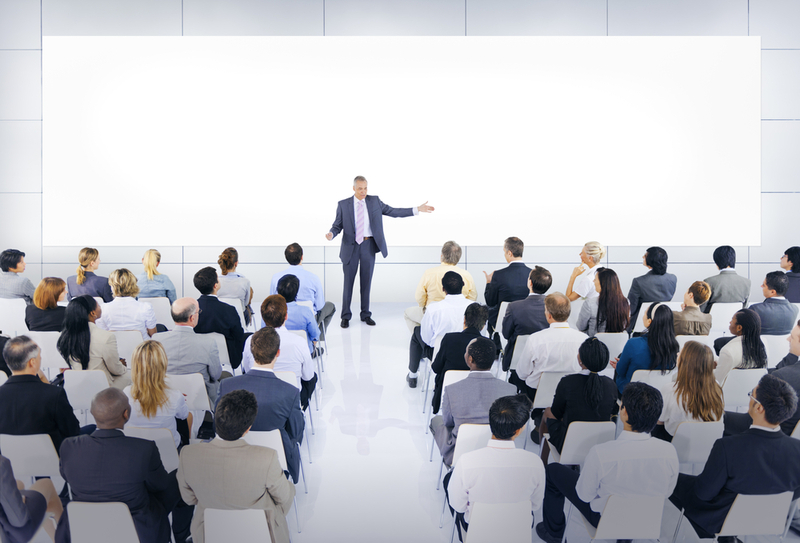 Treatment is much shorter than conventional surgery and causes only minor discomfort. Also, the patient can leave the day of surgery or stay overnight for observation, compared with several weeks for traditional surgery. Gamma Knife surgery provides lower complication rates than open surgery. Both mortality and morbidity rates are lower for radiosurgery. 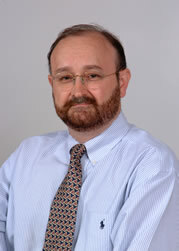 (Dheerendra Prasad, University of Virginia, USA Gamma Knife Surgery and Microsurgery, Clinical Review, 2002. Moreover, Elekta says the cost of Gamma Knife surgery is normally about half the cost of open surgery, saving both healthcare institution insurers, Medicare, and patients money. One reason for the lower cost is that the recovery period is extremely short compared to surgery, which can take several months. Generally, Gamma Knife is performed on an out-patient basis and the patient resumes normal activities almost immediately. Compared to other treatments, Gamma Knife surgery offers a more favorable quality of life before, during and after the procedure. Located at MUSC’s main hospital campus in downtown Charleston, the MUSC Neurosciences Gamma Knife Center coordinates care with MUSC’s Hollings Cancer Center, South Carolina’s only NCI-designated cancer center. Tagged Elekta AB, MJSC. Gamma Knife, stereotactic radiosurgery (SRS).